Luis Bunuel’s collaborative film with surrealist demigod Salvador Dali is one of the classic examples of short filmmakers subverting Hollywood narrative in every way. 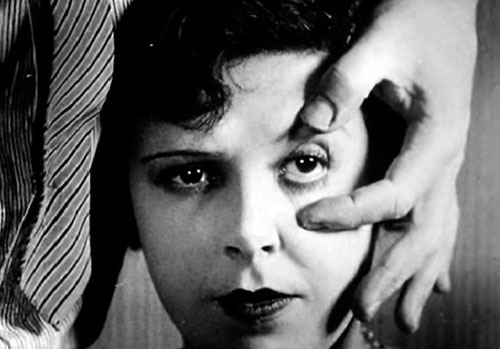 The eye-slicing opening sequence communicates that one much watch this film with a different eye, and after that, the film does not try very hard to communicate much else. Narrative sequence is ignored, dialogue is ignored, and Bunuel only includes “images that surprise[d]” the filmmakers themselves. Compared to D.W. Griffith, who wanted to explore everything film could do in the realm of imagination to tell a story, Bunuel and Dali sought the most imaginative of images without the goal of storytelling. Whether they’re expressing an emotion, reveling in turmoil, or simply laughing behind a slew of shocking images is irrelevant. This film is still one of the most studied and discussed short films committed to celluloid, and if you’re looking for a bit of analysis much more insightful and comprehensive than mine, might I suggest John Nesbit’s Old School Reviews or Michael Koller’s article on Senses of Cinema? Koller quotes Oscar Wilde in The Picture of Dorian Gray to emphasize his point, and I think it’s worth reiterating here. D.W. Griffith, the grandfather of cinema that made one of the most controversial and racist films ever made (The Birth of a Nation), showcases a bit of his own black humor with this film. He was one of the first filmmakers that translated the idea of “connecting space” to the screen, building the concept of continuity that we now see as a necessity in believable film. This film includes examples of eyeline match, where the characters eyes look right and indicate that the next scene takes place to the right of the current scene. A tragic story like this one would have been rare in the early cinematic days, and this one is done with some of the same Vaudevillian melodrama that defined American comedies of the time. You can learn more about his life and work on the PBS website. This film employs a lot of text in the beginning, in the style of a storybook, to introduce the characters. After that, we are left in the care of wild gestures amidst soaring and sometimes lilting music as the only exposition. While the music may not be original to the film, it was one of the aspects from the Lost Keaton DVD collection that struck me the most. The sad guitar music and during the action scenes, some explosive melodies kept me involved in the story. Buster Keaton’s expressiveness and every-man quality proves he was meant to be captured on film. The fantasy elements of this story are what elevate it to a great short film. Keaton, the film projectionist dreaming of being a detective, jumps into the movie he is showing as he witnesses his love and the man who framed him become the main characters in the movie. This dream sequence acts as a fulfillment of his dreams and a way for him to clear his name, while in real life, it is the realist female who rights the situation rather than the dreamer. Ultimately, this film should be recognized not for its successful cinematic breaks from reality, but as maybe the first film to act out the classic slipping-on-a-banana-peel gag of cartoon legend. This film is widely considered the first feature film, an infamous relic of the first days of American cinema. Directed by Edwin Porter, it’s a silent film depicting a successful train robbery and then eventual capture of some Wild Western thieves. The plot is narrative and in my opinion, pretty courageous for a silent film to tackle such an action-based plot with plenty of twists and turns and continuous scenes in new locations. Time is handled successfully, with new scenes indicating what is happening during the robbery and what happens after. The film seems to be a cinematic base for the exciting Wild West films and heist films that came after it. The thing that is most striking for me as I view these silent films is how perfectly the story is communicated without any words, even on the grand scale of a train robbery. The camera is usually too far away to capture facial expressions, but emotions and complications are expressed beautifully with the actor’s bodies. The music, though perhaps not originally what played as audiences viewed the film in the cinema, also works to convey the urgency in the story. This fifteen-minute film directed by George Nichols is a fantastic example of the slapstick physical humor Charlie Chaplin brought from Vaudeville to Hollywood. The plot is simple, but for such an early short film the mise-en-scene is packed with a variety of complicated sets, rapid action, and props. Most of the action is set at Keystone Studios. Because of the fixed wide shots and immobile camera, the characters moving through the frame are reminiscent of a play rather than the moving camera-work we associate with movies today. 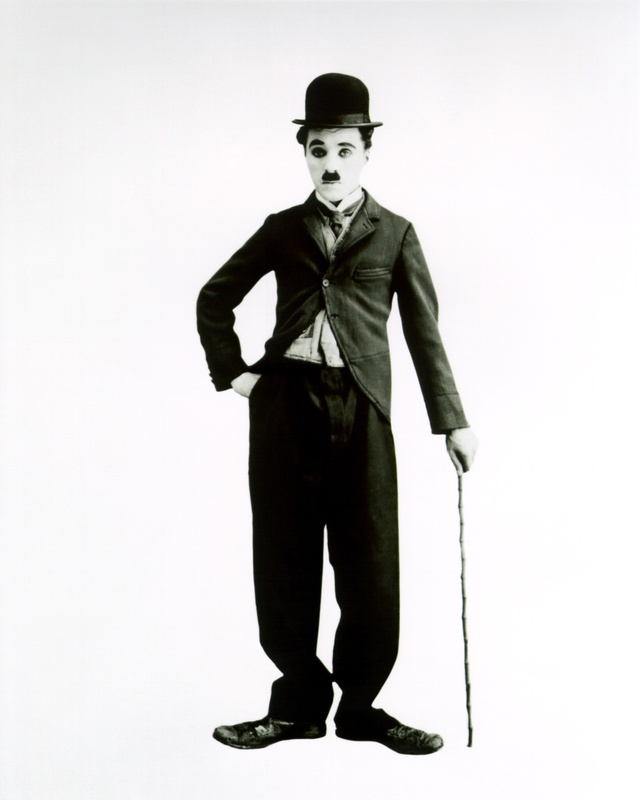 Chaplin includes a graceful choreography, nearly a fluid dance, of gesture-based comedy. This film sets a colorful example of early American cinema – both the beginning of the feature films and short films released today. 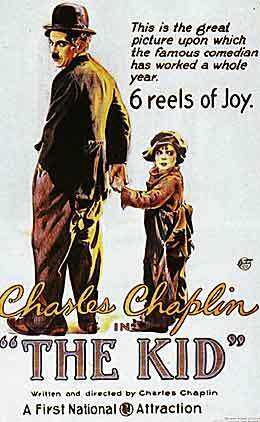 The quintessential Charlie Chaplin film, The Kid blends the artist’s famous physical comedy with the fantasy element film enabled with the situational dramatic irony present in the best stories. This film represents visually all the emotions involved in a compelling story. One great example is when the mother and father of “the kid” meet five years later, their shared look conveys a fraction of their emotion. The next scene cuts to a Book of the Past and the chapter on Regrets, thus the emotion is fully explained in a visual representation. Chaplin’s usual physicality forces me to see the scenes as an elaborate dance, almost like watching the ballet where dancers tell a story with their bodies. Chaplin and the doctor character look directly at the camera at certain beats to connect their emotions to the audience. The end of this movie is also interesting, when the set is transformed with flower garlands and angel costumes in Chaplin’s dream. This is the fantasy element that movie production allows; filmmakers could execute anything they could dream up. Here is a more in-depth review of the film by John Nesbit.